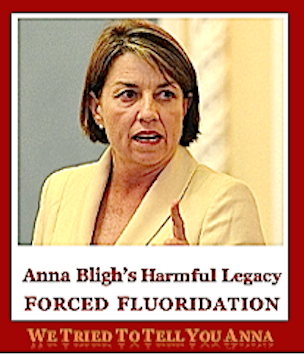 Fluoridation Queensland | FLUORIDE THE NEXT ASBESTOS ? You are here: Home / Fluoridation Legality - Rulings & Challenges / FLUORIDE THE NEXT ASBESTOS ? 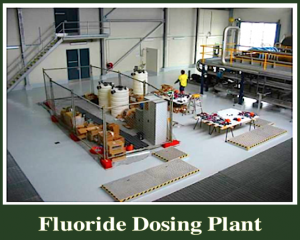 FLUORIDE THE NEXT ASBESTOS ? Are fluorinated fire fighting foams the next asbestos? Since this is such an important claim, it’s worth recording precisely where that statement came from, so that anyone wishing to repeat it can substantiate its provenance. In the summer of 2004 I had a meeting in London with Marie-Louise Rossi. She was the Chief Executive of the International Underwriting Association, and had a formal conference with her and some of her Associates at the IUA’s London Headquarters. The purpose of the meeting was to discuss the insurance implications of the provable harm caused to children by water fluoridation. We did not discuss any of the more controversial health concerns of the practice, confining the discussion almost exclusively to the implications of the very large proportion of children known to develop this disfiguring condition. I explained to the meeting the legal problems that are involved with this form of compulsory medication, and the issues of liability that inevitably emerge, especially for any Council, Health Authority or any other public servant that becomes involved in the imposition of this damaging, unethical and illegal form of medical assault. And as I went through the information that I had prepared for the IUA, Ms. Rossi became more and more concerned. 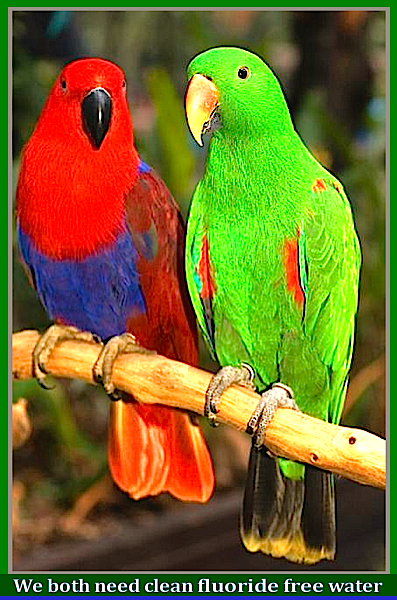 Eventually she blurted out, “My God! This is the next asbestos!” That’s where Mr Woodforth’s statement originated, from the very top of the Underwriting sector, and specifically in relation to water fluoridation. So now you know – and if anyone challenges that comment, I can verify to you now that this is indeed the original source. So what does this mean for you in Australia now, and indeed, pretty well everywhere else in the world where this form of uninsurable activity is carried out? Well, here’s how it works. When a member of the public makes any claim against an insured person or corporation, and an award is either agreed or awarded by a Court against the respondent, it is generally their insurers who will have to foot the bill – always assuming that they actually have insurance cover. So ultimately, whilst the insurers write the policies, the risk is usually reinsured through guarantees provided by professional underwriters, acting in the interests of their investors. There’s a hierarchy of people who agree to provide finance that is used to insure against claims. These investors hope that, provided the insurers do their sums right then they, the investors, will eventually make a profit. But suppose that an insurer fails to understand the risk of an activity in which one of its clients is engaged, and the insured does not disclose – or even recognise – that what they are doing may eventually result in a claim at some later date? Then the investors have a big problem – if the insurer gets it wrong, then ultimately they have to fork out the cash. …the insurer did not understand the full nature of the future risk back in the 1960s, it and its reinsurers would not have properly reserved for it. In the case of Lloyd’s this resulted in the bankruptcy of thousands of individual investors who indemnified [under 'reinsurance-to-close'] general liability insurance written from the 1940s to the mid-1970s for companies with exposure to asbestosis claims. And this is why Ms Rossi and the International Underwriting Association were so concerned at hearing what I had to tell them about the public risks of damage from water fluoridation. Within the Health Sector, most health professionals and authorities are required to carry Professional Indemnity Insurance against claims brought against them by patients and others. Insurers will not cover ‘foreseeable risks’ – that is, any activity that, if engaged in by a Client, has a very high probability of resulting in claims against the insurer. (In the UK the government insures itself for claims against to National Health Service, but hey! it’s not their money anyway!) But individual health professionals can still get hit for private actions – remember that if you are a Dental Officer pushing fluoride outside office hours! And as we are all well aware, dental fluorosis of at least some detectable level affects around half of all children exposed to fluoridated water during their early childhood (York Review of Water Fluoridation, 2000). Around one in eight kids will get it so badly that they need cosmetic dental treatment for the rest of their lives. In the UK the lifetime costs are an average of around £30,000 – about the same as the cost of getting a university education. 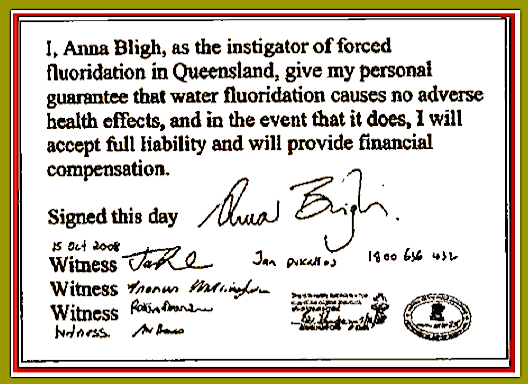 So, as a foreseeable risk, anyone engaged in any professional or business capacity whatever in the promotion of implementation of fluoridation may be personally liable for the costs. Insurers will start to recognise it as a foreseeable risk and refuse to cover it under professional indemnity or public liability insurance. In a recent letter from Zurich Insurance, one of the principle insurers of Local Authorities in the UK, the company confirms that it will not indemnify Councils for any claims against them for damage caused to members of the public arising from water fluoridation. 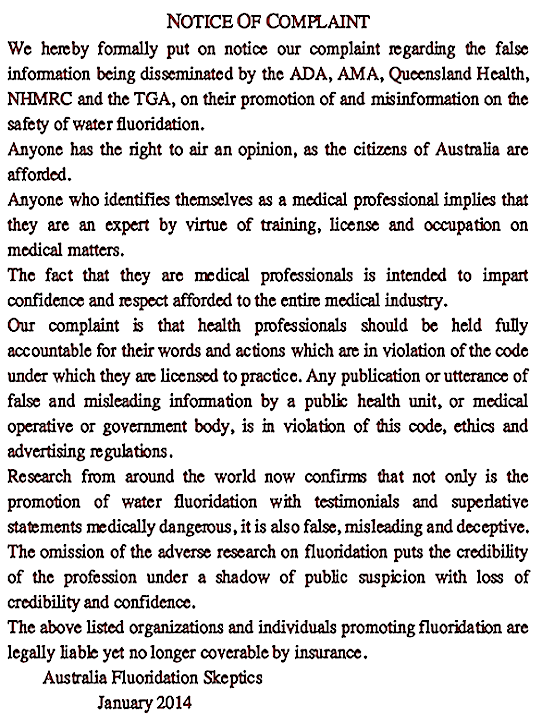 Is this a significant problem for Health Professionals and Councils advocating fluoridation, or even forcing fluoridation on unwilling communities? Lloyd’s set up a separate vehicle known as Equitas in 1996 to handle asbestos-related claims. This was effectively acquired by Berkshire Hathaway a decade later amid fears it was running out of funds. Warren Buffett’s investment vehicle agreed to take on Equitas’ staff, operations, liabilities and most of its assets. It also agreed to provide up to £3.7bn in reinsurance cover, therefore protecting Equitas against the risk of larger-than-expected claims. Lloyd’s provided £90m as part of the deal. Although most of the Names paid up and agreed to this scheme to reinsure their debt, 1,200 refused. About 200 of this second group responded by launching a counter-suit for compensation, which claimed that Lloyd’s brochures had led them to believe that the cover, called Reinsurance To Close (RITC), completely ended their liabilities at the end of each underwriting year. The names spent years battling against Lloyd’s in the courts, claiming they had been misled over insurance deals they bought into prior to the market’s near collapse. The High Court eventually ruled against them in July 2008, a decision which was upheld by the Court of Appeal. In June 2009, a final group of 35 individuals were declared bankrupt in the High Court. If you think about that in relation to fluoridation, you’ll realise just why Ms Rossi and the IUA were so alarmed at what I told them. The numbers of people affected by asbestos run into hundreds of thousands; ‘dental fluorosis of aesthetic concern’ (mild and worse) affects at least 10,000 children every year in the UK alone, and far more elsewhere. Regarding the risks from exposure to asbestos, the UK’s Health and Safety Executive considers that there is no minimum threshold that exists for exposure to asbestos below which a person is at zero risk of developing mesothelioma. Remarkably, the EU’s SCHER came to precisely that same view regarding the risks of damage to human teeth and bones caused by fluoridation only a couple of years ago! We are talking about big money here – in the UK alone, if all kids needing cosmetic dental treatment actually found the money to pay for it, then the dental profession would rake in around an additional £300 million in new income every year for as long as fluoridation continues. And our intellectually compromised British government actually aims to quadruple the extent of water fluoridation as soon as it can get past the obstacles of inconveniently unconvinced members of the public (us ‘Activists’, as Queensland Health likes to label folk like me! Bur hey! – who wants to be a ‘pacifist’ anyway? ), and the curiously slippery water companies, who just can’t seem to get their plans to the point at which they can actually start new schemes. Make no mistake about this – if the insurance sector is getting cold feet about covering those who aspire to poison our kids, and cause them grief – especially financial grief – that will result in claims for compensation, then they are not going to carry the can for this one. The fluoride advocates will find themselves in the same boat as those unfortunate ‘Names’ at Lloyds of London who were unwittingly caught out by the asbestos disaster. When the next asbestos hits, this time from the very water that pours from the faucets in your own homes, both you and the Health Authorities and Councils will be on your own. So heed Mr. Woodforth’s warning and make sure that those pushing fluoride at you are aware that everything that they own could soon be at risk. The insurers will be out through the door like rats up a drainpipe, leaving you to hold the baby. Over three decades in the City of London, Marie-Louise has developed an expertise in many areas including insurance. For over eleven years she worked as Chief Executive of the International Underwriting Association (and its predecessor) representing over £11bn pa of international insurance and reinsurance markets to governments and international institutions worldwide. Marie-Louise has worked closely with the EU Commission and the European Parliament, as well as with the then DTI and the CBI. 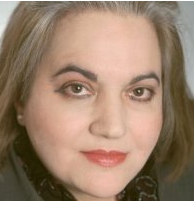 She was Head of Insurance and Risk Management for the New Security Foundation (formerly NATO forum for Business and Security) and was the author of The Single Market in Insurance (1992). consider taking a low profile after reading the above.